I am who I am. Am I? I am Pitt and I am a dreamer (sometimes), a hard worker (sometimes), an adventure seeker (most of the time), a dad (all of the time), a sucker (apparently), a skier (most importantly). I have a pretty good vision of who I am. I know what I like. I know how I like to be treated and how I would like to treat others. I know how I see myself in the mirror. And I know where I am comfortable and where I get squirmy. Even though many of us know who we are, we are not able to describe ourselves vocally or in written word. Take a cover letter for example. When you are applying for a job, you are supposed to write a short letter describing yourself and how great you are without coming across as an arrogant jerk. You want yourself to look good, but not sound like you know it. Now that I think about it, that is the same way we humans approach dating or meeting a new friend for the first time. Always trying to read our potential client and sell ourselves to them. That is kind of weird if you think about it. Well, I have learned that simple is always better. Know your story and stick to it. Don’t change it just because you are trying to impress someone or boost your ego. I have had 2 valuable lessons on this topic over the past month. Both of them came from people in a demographic that make the most sense to me, little boys. Often there are 1,000 things going on in my brain on a daily basis. Work, family, recreation, adventure ideas, projects. This is why I love the outdoors so much. For many of us it is a time to step out of hustle and bustle of life and focus in the moment. A good day skiing, climbing or paddling often is a good reminder of what is important in life and who we really are. 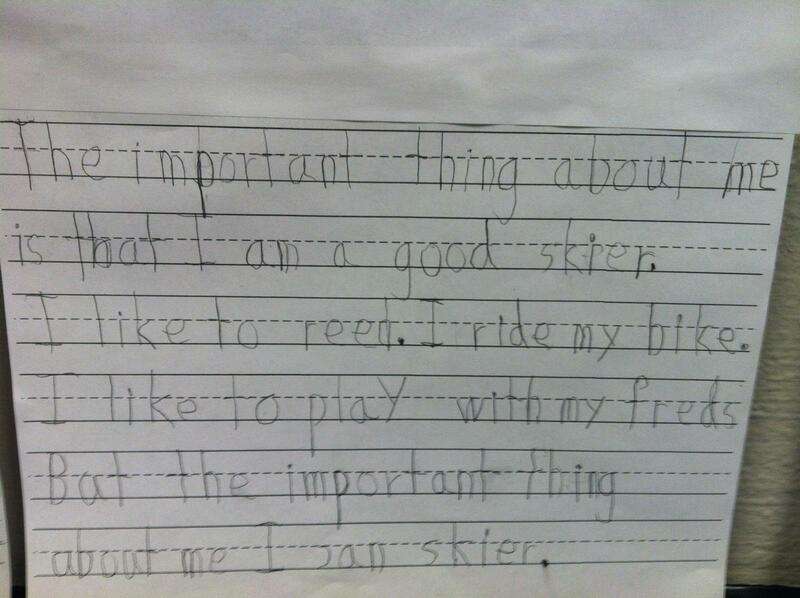 Well if you are a 6 year old living in Idaho, it is easy to keep your priorities straight and know who you really are. My sister sent me this picture of an assignment she found that my 6 year old nephew had completed at school. Nothing but complete honesty and truth and confidence in who he is. Becky: “Later sucker.” Emmett thought that was hilarious and began to laugh. Spoken by a smart little man who knows who he is. 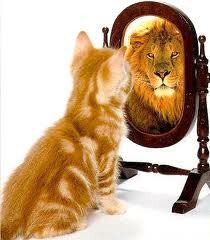 For some of us it can be hard to pin down who or what we really are but it is easy to know who we are not. And for a 3 year old, he is sure he is not a sucker. Take a moment this week and try to write down who you are or who you are not. You might surprise yourself. Remember keep it simple and don’t try to fool anyone. It never works. No matter how flowery of words I use to describe myself, all that matters is: I am Pitt and I am a skier and a sucker.